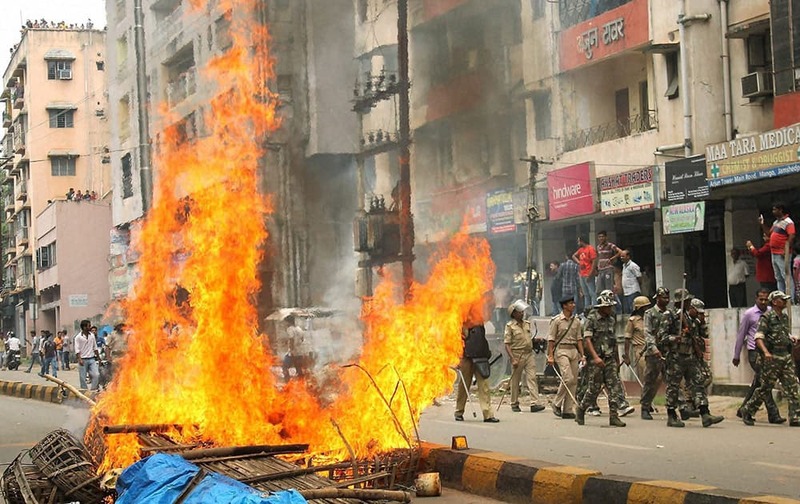 Security personnel patrol along a road as a road is blocked with fire during a bandh call demanding arrest of culprits responsibile for the eve-teasing, at Mango. 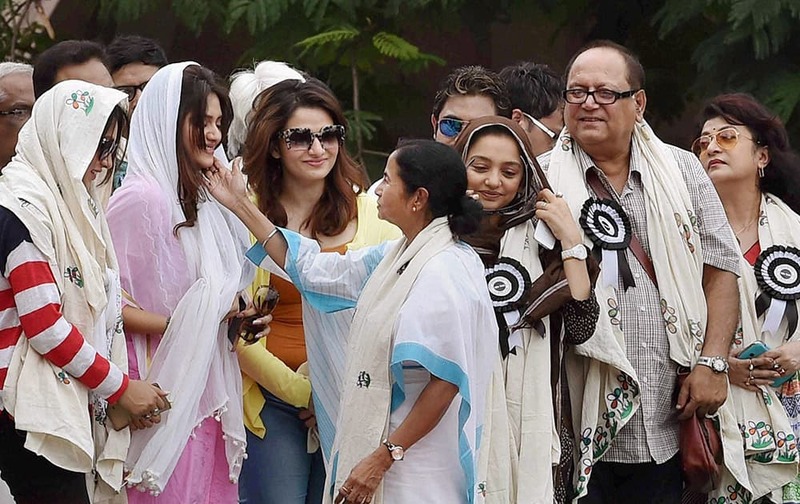 West Bengal Chief Minister Mamata Banerjee meeting Tollywood actors during a TMC rally to observe Martyrs day in Kolkata. 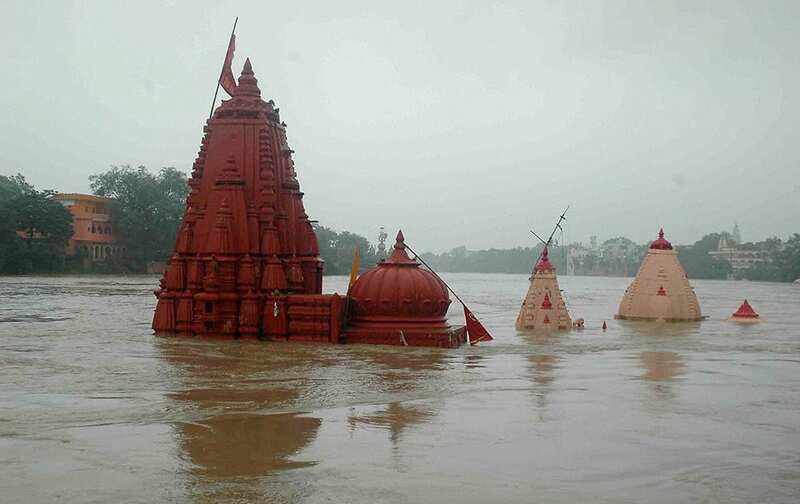 Temples submerged on the banks of flooded Kshipra River due to heavy rains in Ujjain. 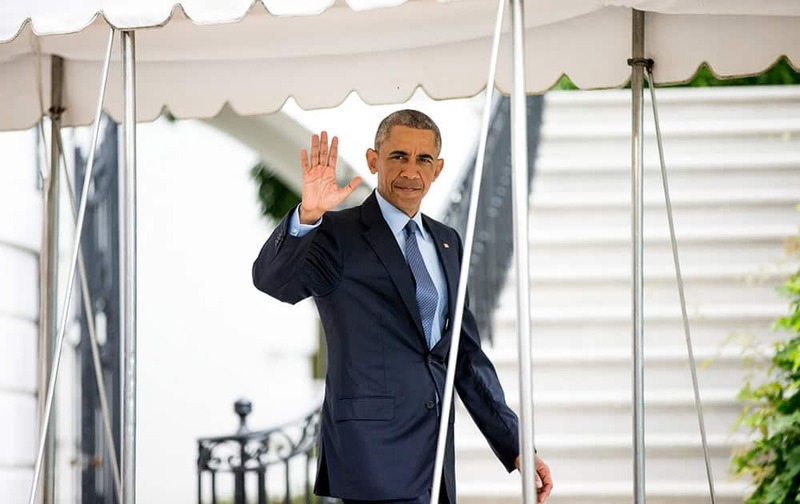 President Barack Obama waves to members of the media as he walks towards Marine One on the South Lawn at the White House in Washington, for a short trip to Andrews Air Force Base to travel to Pittsburgh where the President will address the 116th National Convention of the Veterans of Foreign Wars. 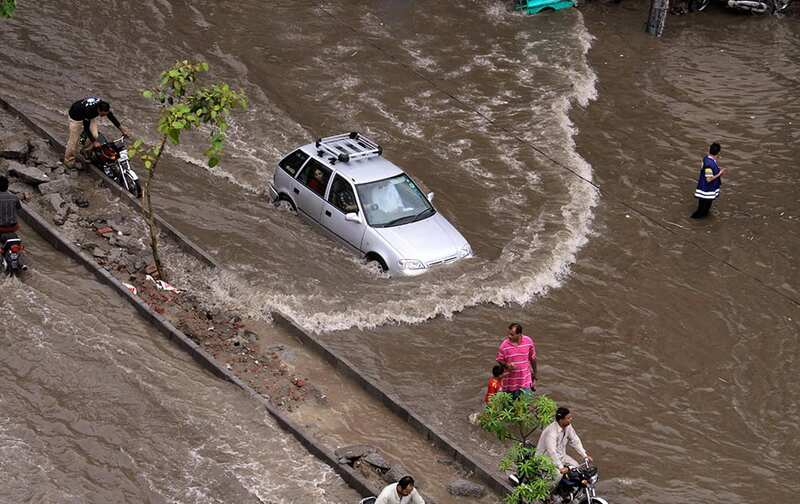 A car drives through a flooded road caused by heavy rains in Lahore, Pakistan. 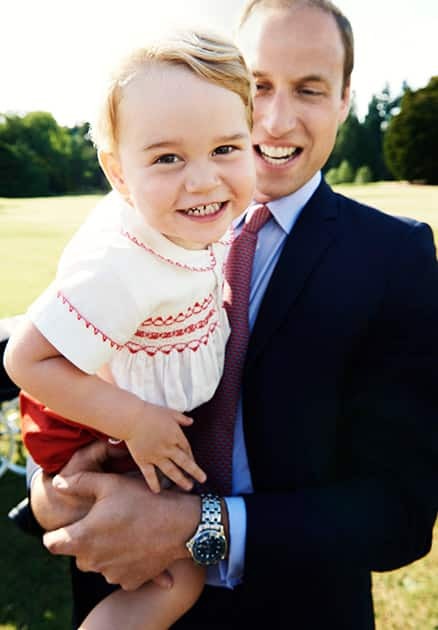 This image released by Kensington Palace, Britain's Prince William holds his son Prince George following the christening of Princess Charlotte, in the grounds of Sandringham House, England. 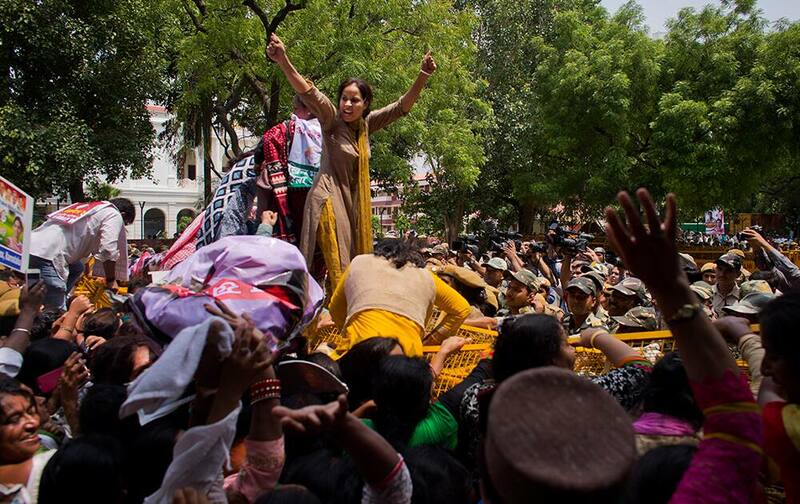 Congress party supporters climb a barricade during a protest against Prime Minister Narendra Modi in New Delhi. 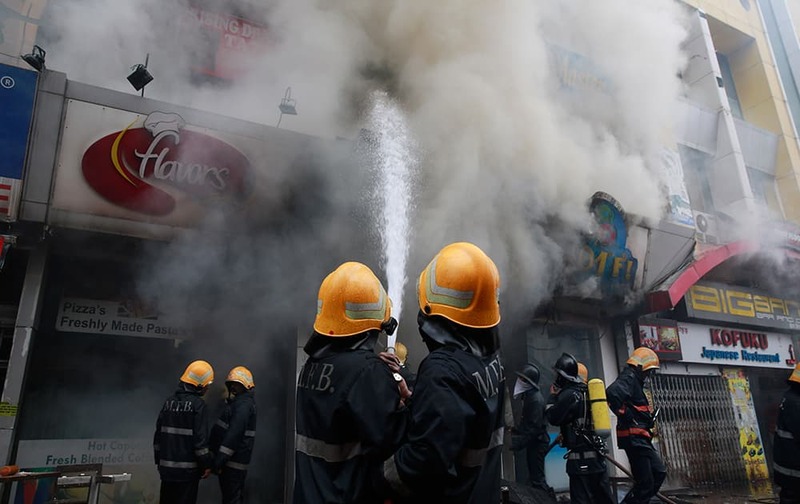 Firefighters try to douse fire after row of shops caught fire in Mumbai. 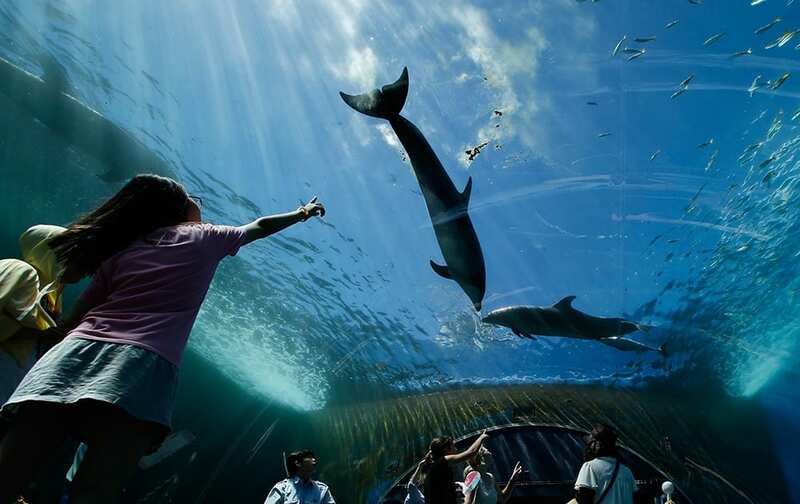 Bottlenose dolphins swim over visitors in water tank at the Hakkeijima Sea Paradise aquarium-amusement park complex in Yokohama, southwest of Tokyo. 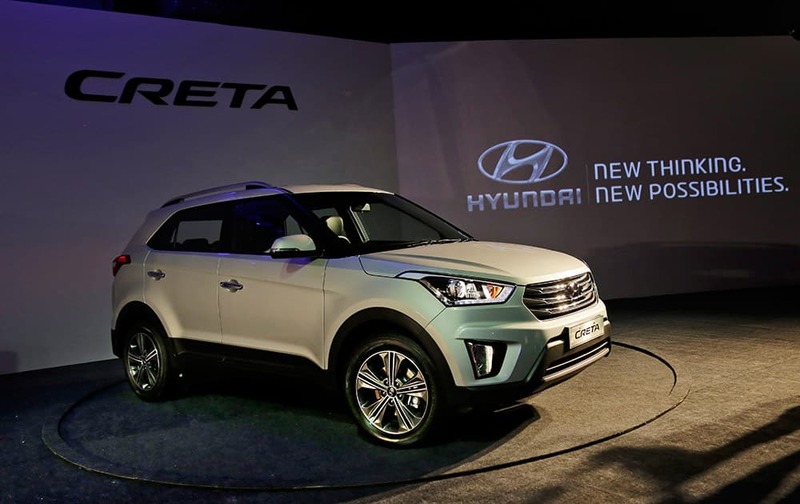 Hyundai's new Sports Utility Vehicle 'CRETA' is displayed during its global launch in New Delhi, India. This photo provided by courtesy of Sony Pictures shows, Serena Williams, as herself, on a date with Peter Dinklage as Eddie, in Columbia Pictures Pixels. 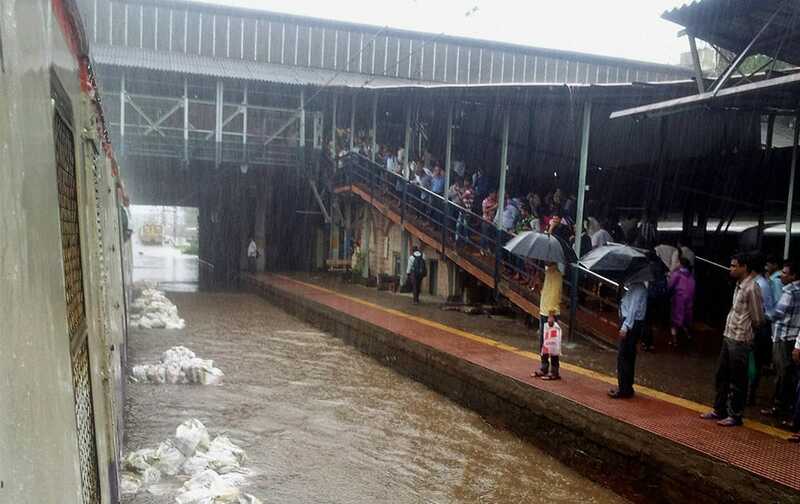 A view of waterlogged railway track at Sion station of CR after overnight incessant rains in Mumbai. 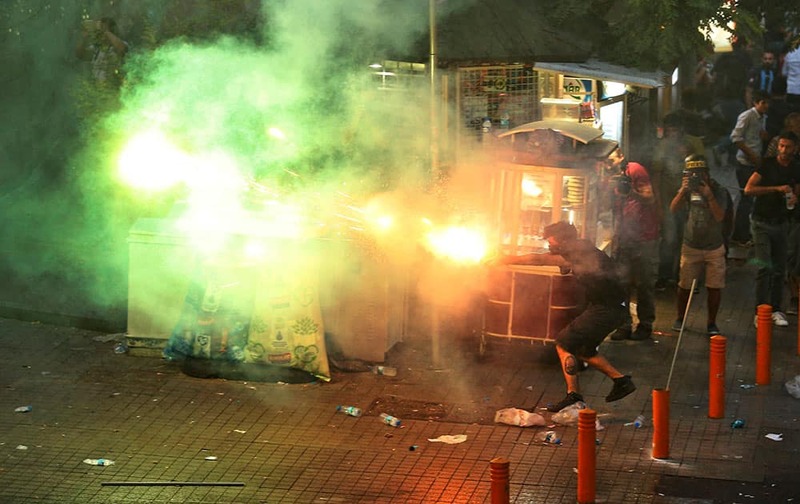 A protester fires a projectile at police in central Istanbul, during clashes following a protest denouncing the deaths of dozens of people in an explosion in southeastern Turkey. 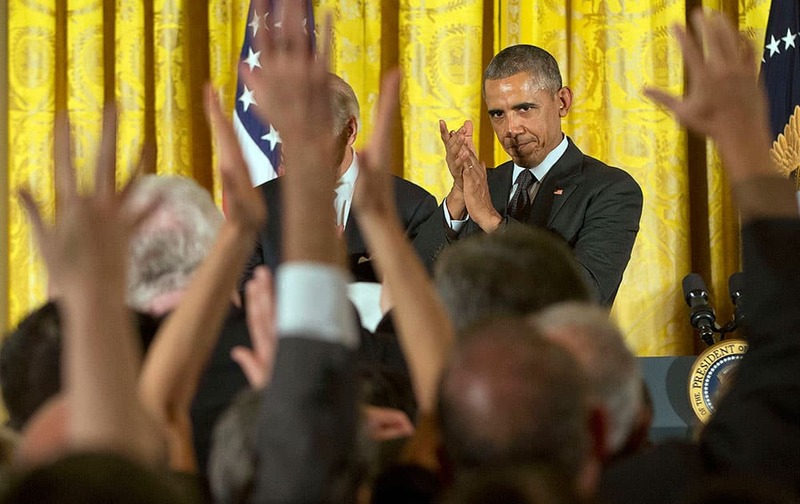 President Barack Obama applauds on stage after speaking at a reception in the East Room of the White House in Washington. 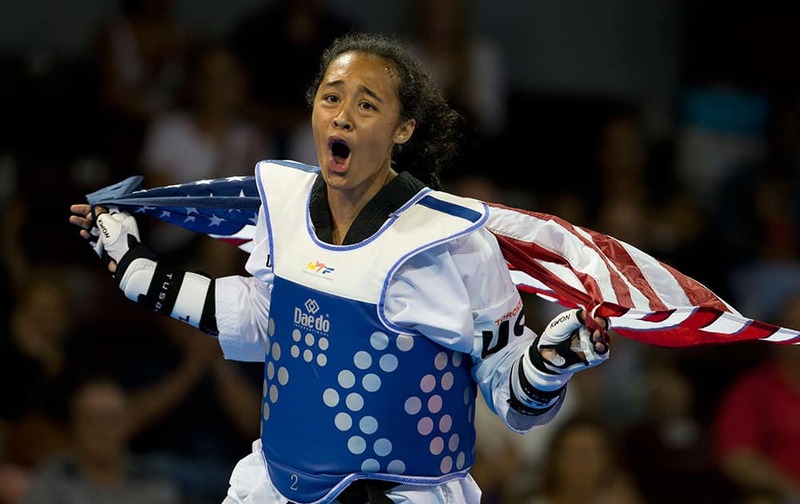 Cheyenne Lewis of the U.S. celebrates after winning gold in the women's taekwondo under-57kg category, at the Pan Am Games in Mississauga, Ontario. 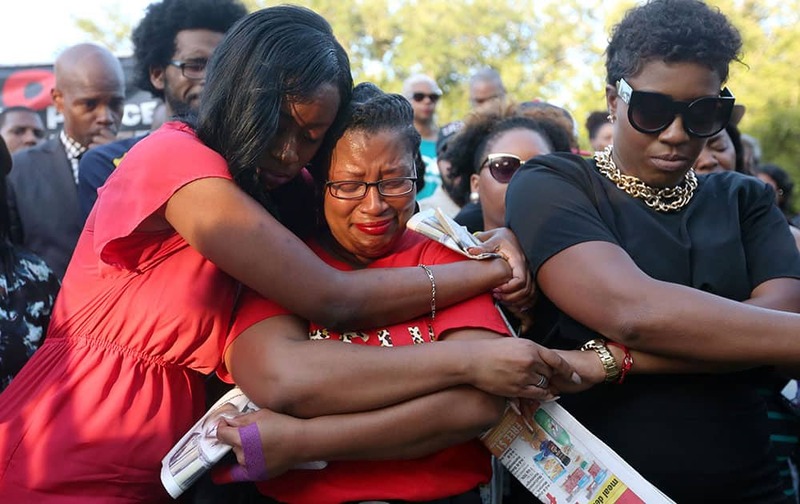 Lanitra Dean hugs Carlesha Harrison, a friend of Sandra Bland, during a vigil for Bland at Prairie View A&M University, in Prairie View, Texas. 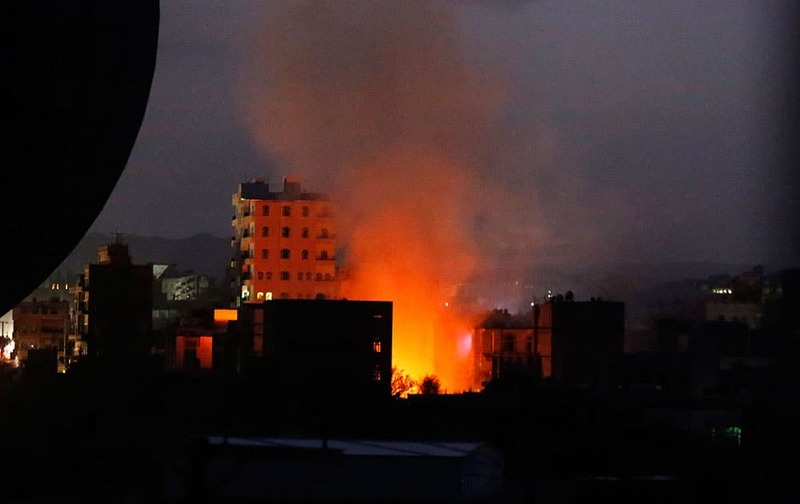 Fire and smoke rise from the site of a car bomb attack in Sanaa, Yemen. Mexico’s Carolina Chapoy competes during the women's waterski slalom preliminary round at the Pan Am Games in Toronto. 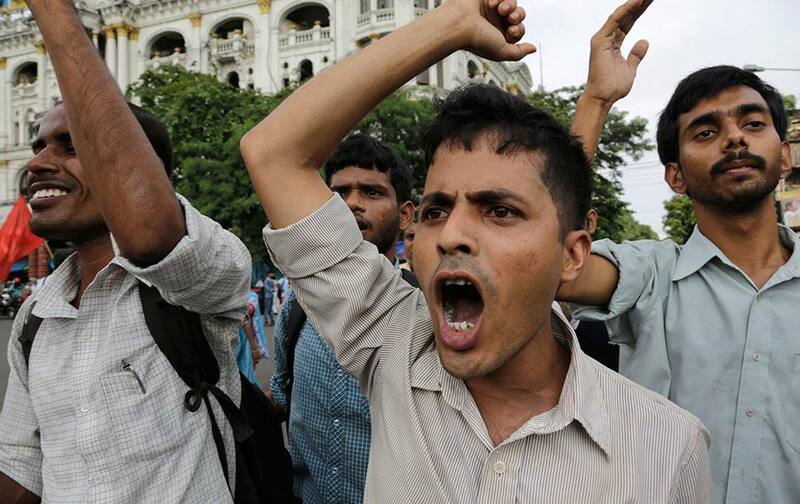 Left party activists shout slogans as they walk in a rally protesting the proposed land bill by India’s ruling Bharatiya Janata Party government and also demanding proper investigation into various corruption scandals in Kolkata, India. 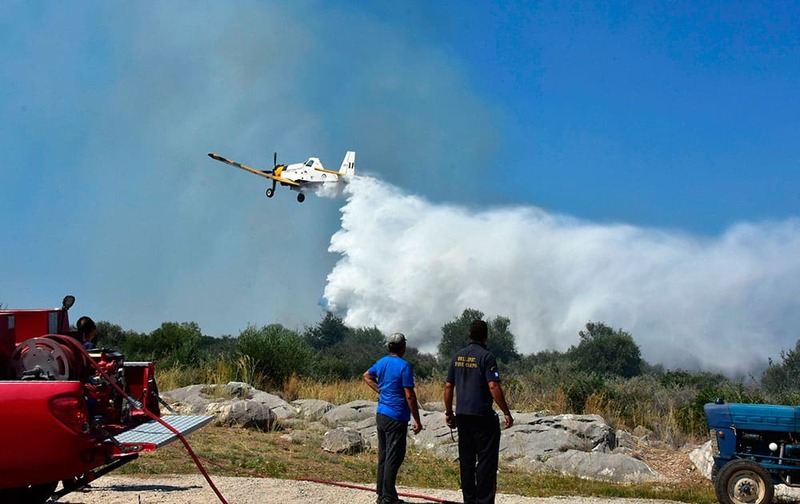 A small airplane drops water over the fire at the holiday resort village of Asini, near the town of Nafplio, about 140km (87 miles) southwest of Athens. 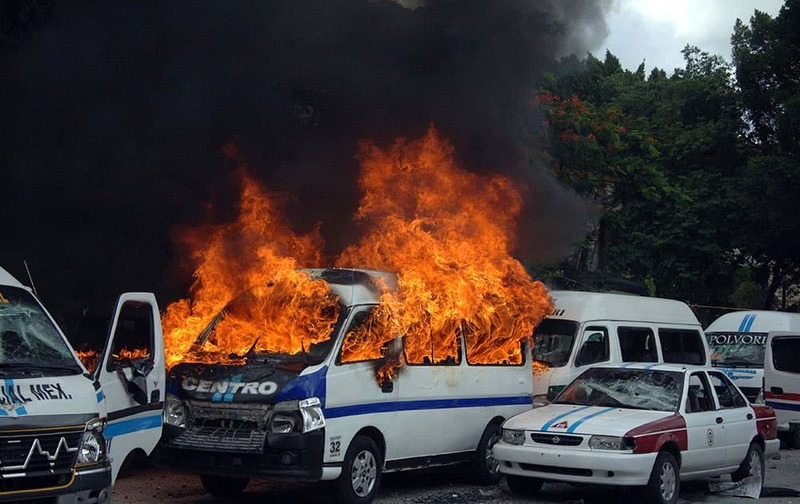 A taxi bus burns after a fight broke out between rival taxi unions fighting for permits in the city of Chilpancingo, Mexico. 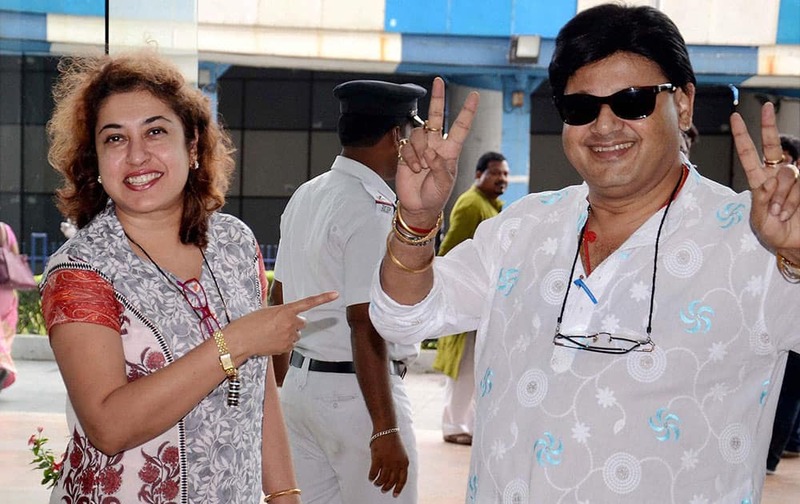 Trinamool Congress MPs Tapas Paul and Satabdi Roy during a meeting with party supremo & Chief Minister of West Bengal, Mamata Banerjee in Kolkata. 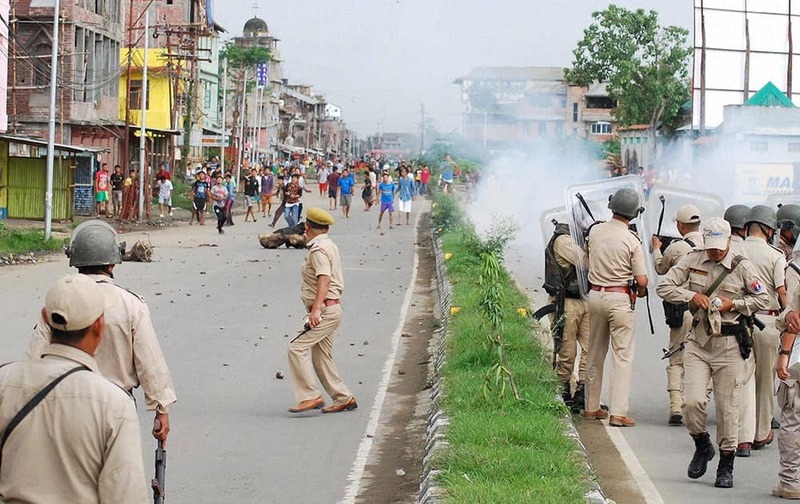 Police fire tear gas to disperse protesters at Tera, Imphal West on Monday demanding Inner Line Permit System in Manipur.